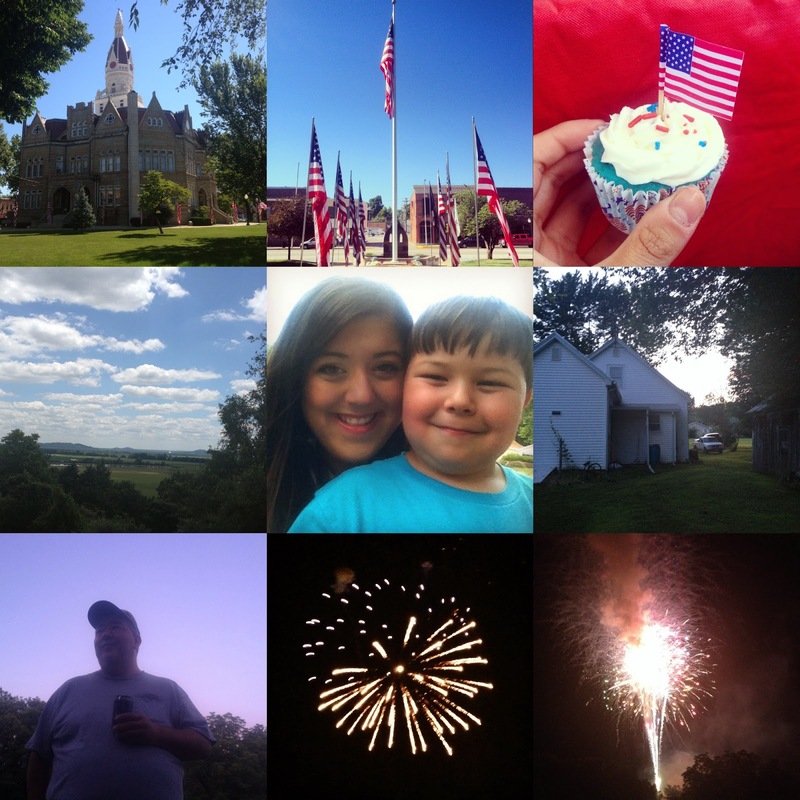 I cannot believe it's already been a little over a week since the 4th of July! I thought I'd do a quick little recap of our fourth weekend since I just now got around to uploading the photos. We headed to Illinois to spend time with extended family during the long weekend. We talked for hours and hours and enjoyed getting to spend quality time with those loved ones we rarely see. The fourth, which also happens to be my Dad's birthday, the entire Springer clan came together for a big cookout and fireworks. Plus, I got to hold the Blog Baton that day. It was so much fun getting to share moments of my holiday. There was so much American pride going on. The morning started off with a local parade + popsicles and a quick trip to Pittsfield to take in a little history (aka the old courthouse where Abraham Lincoln could've been spotted pre-presidency). Fun fact: my Aunt and Uncle are Abraham Lincoln junkies/aficionados! After that, it was time to eat. We had burgers, hot dogs, and homemade sides. We followed up with hundreds of patriotic cupcakes, homemade icecream, brownies, and pecan pie. I was in a food coma for hours after. Jack and I sure enjoyed ourselves though. Next, we set up to see the fireworks show in my Great Aunt June's backyard. We had the absolute BEST seat in the house. The show was being shot from the community park which happened to be right beyond a treeline behind her house. I'm not sure I've ever been that close to a show before. Each and every firework was huge and right in our face, in the best sort of way of course. Jack was half thrilled, half frightened by the proximity. The finale was epic! Overall, we had a wonderful weekend getting to spend time with loved ones. We got to explore the town my father grew up in and my family has lived in for nearly a hundred years. There's so much rich family history in that little town. P.S. - I totally broke out these shorts from last year! We had an amazing fourth, how about you?